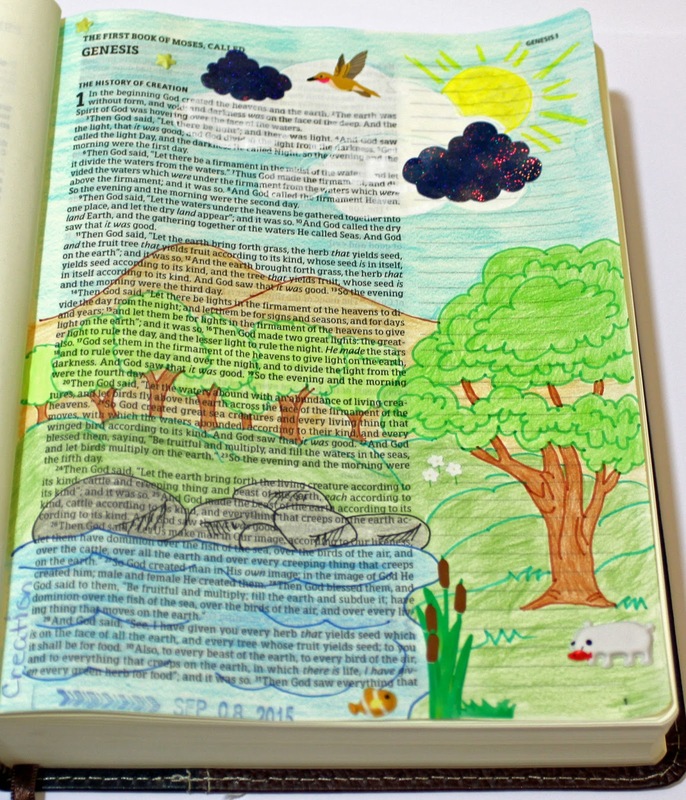 With the vast array of FUN products, huge quantity of technique videos, and abundance of creative photos, there is a tremendous amount of INSPIRATION for illustrated Bible journaling these days. However, this bounty of ideas can be overwhelming. 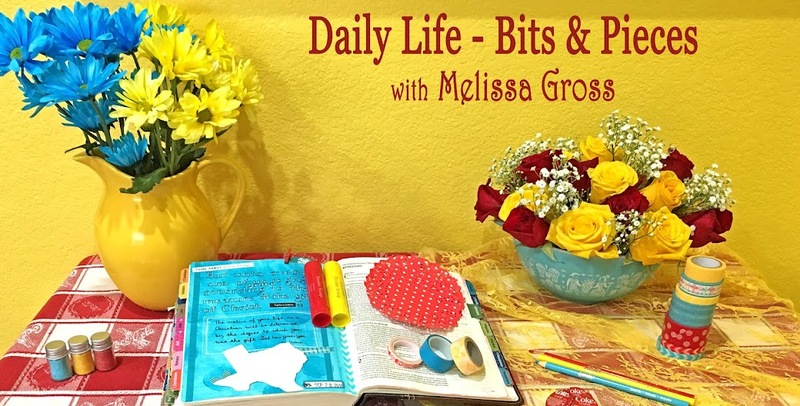 When overwhelm sets in, I recommend taking a simple approach to Bible journaling, focusing on the scripture and a few basic products. For the simple illustration below, I used Micron pens to record the reminder that I am chosen, then added a few stickers and small bits of washi tape to the page. I had borrowed someone's stamp last year and added Proverbs 15:13 in the margin beside Psalm 98 in my journaling Bible. After spending some time reading and contemplating the Psalm (and underlining some of the scriptures), I simple adhered a few die cut pieces to this page and added a small line of journaling with a Micron pen. It took very little time to actually add the illustration and journaling to these pages - sometimes, simple is the way to go! Over the past few years, I've accumulated lots of photos and stories and memorabilia that I'm planning to scrap . . . someday. My scrapbooking has slowed down quite a bit lately, although my desire to create layouts is still strong. So, I'm determined to do a better job this year. 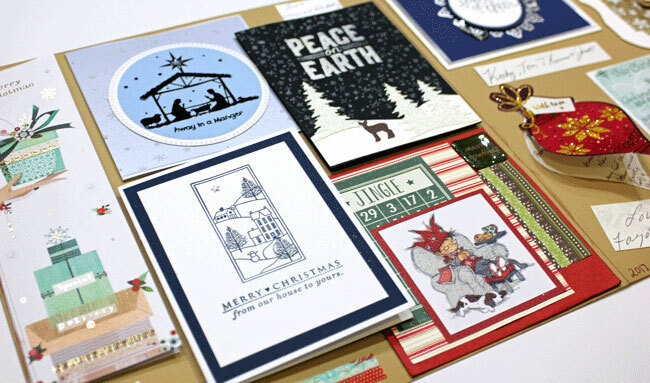 Last week, I grabbed all the Christmas cards we received this past year (which were still in a pile next to my work desk in the craft room) and decided it was time to do something with them. I pulled out some of my favorite cards, cut signatures from others, and created a two page spread for our 2017 album. 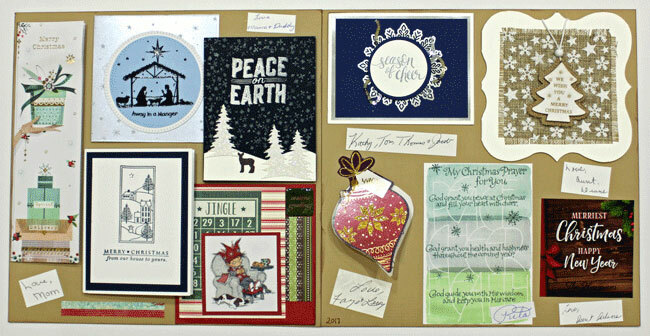 I added some of the photos we received to my category drawers, clipped bits and pieces from some of the remaining cards to transform into new cards for this year, and recycled what was leftover. It feels so good to have at least one pile of memorabilia processed and another FUN layout in our scrapbook. 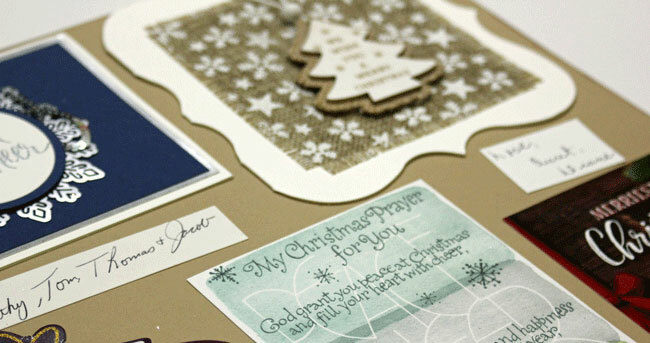 What have you done with last year's Christmas cards? Created in the image of The Creator, we are all creative, and indulging our creative passions increases our sense of well-being. Each Sunday this month, I’ll be sharing ideas and inspiration for using your creativity to draw closer to the Lord, to dive into the Word, and to live the abundant life. 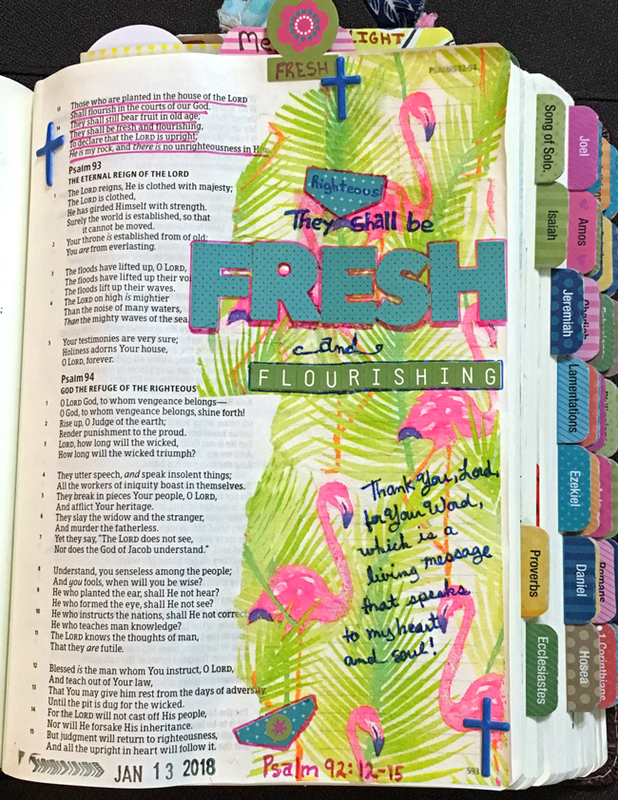 I’ll be using illustrated Bible journaling examples, but keep in mind that these principles apply to all forms of creativity. So, let’s get started! “I have an idea for a new dessert,” my 12-year-old niece said one day last summer as she peered into the pantry. We’d decided a little earlier that we didn’t need to go to the grocery store and would use the food already in the house for our meals the week she was here visiting. There were plenty of options for making a variety of desserts, yet she concocted something new and named it “Chocolate Pudding Stack.” The main idea was a couple of layers of pudding. However, we didn’t have any graham crackers to make a crust. She’s seen her mother crush graham crackers, mix the crumbs with butter, and spread them in a pan to create the first layer of one of their favorite desserts. She stood in the pantry doorway, scanning all the boxes and cans and containers, then pulled out the box of ice cream cones and set to work creating her own crust – just like her mother, yet different. This type of ingenuity combined with imitation is very common in children. As grown-ups, however, many of us would have looked in the pantry, discovered the absence of any graham crackers, and immediately moved on to a different dessert, one where all the ingredients were available. Somehow, we lose the ability to see things in a different way. 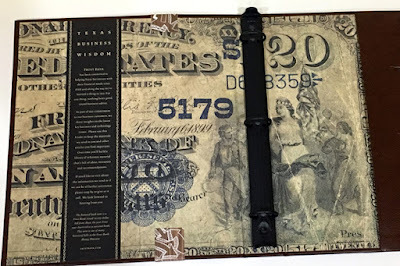 One of my favorite techniques over the past year is using decorative napkins as artwork on illustrated Bible journaling pages. 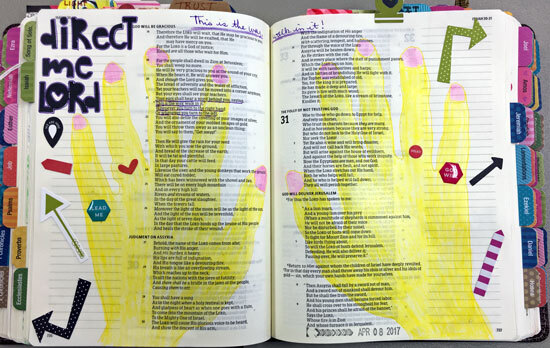 I’m not sure where the idea originated, however, it’s a technique that has swept through the Bible journaling community. Of course, I’ve accumulated a small stash of FUN napkins to use in my Bibles. This FUN and creative way to use napkins allows me to create and spend time with the Lord contemplating the scriptures. When we served the “Chocolate Pudding Stack” after dinner last summer, my niece was so excited to have created a new dessert . . . and it was yummy! This week, stretch your creativity by looking for new ways to use familiar objects. 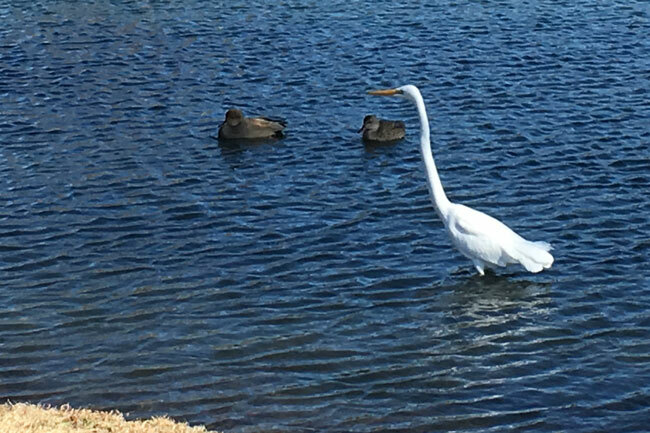 A weekly feature here on my blog sharing five FRESH random photos (or thoughts or interesting tidbits) from the week. I've missed the last two Fridays, so this randomness is from the past three weeks. 1. 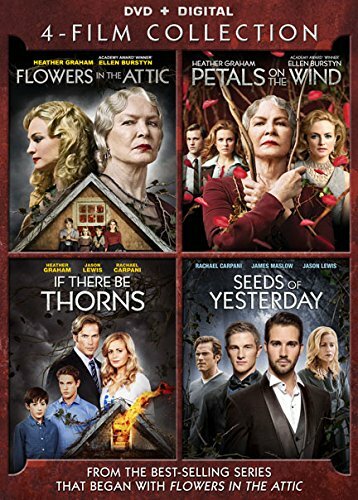 After we re-watched the four Flowers in the Attic movies recently, we clicked on the special features and listened to the producer and director and actors discuss the movie. 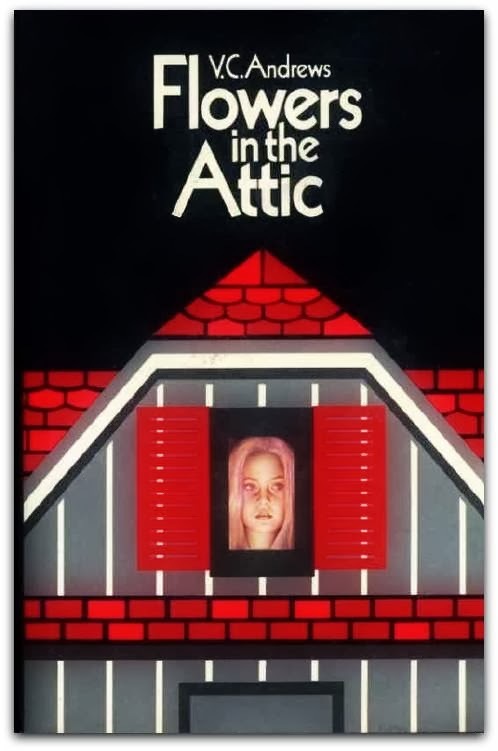 One thing that struck me was how the ones a few years older than me remembered the publication of the original Flowers in the Attic book and its iconic cover. I don't remember ever hearing of them until I met Robbie and read his copies of the books. Do you remember when this book was first published? 3. The weather here in Texas has been all over the place, from sunshine and 69 degrees to cold and rainy and below freezing temperatures. 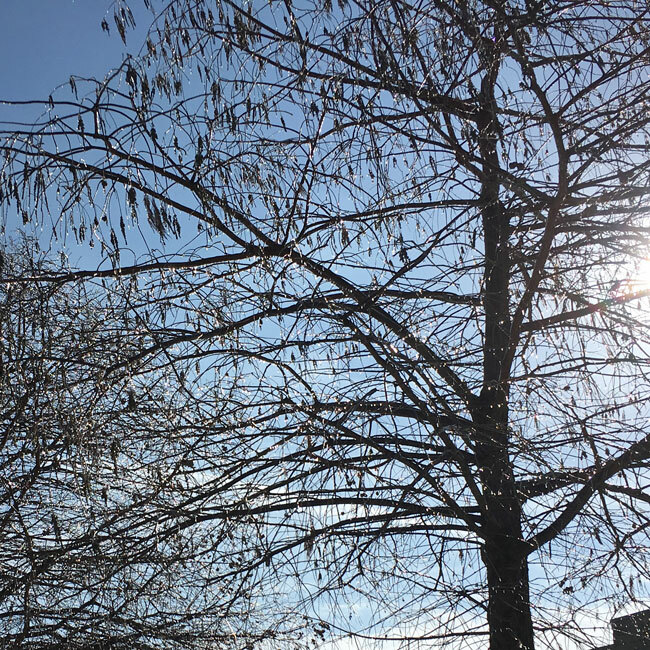 One day last week, little icicles formed on the trees. They were almost melted before I headed out and snapped this picture. This week it's been rain, rain, rain!! 4. 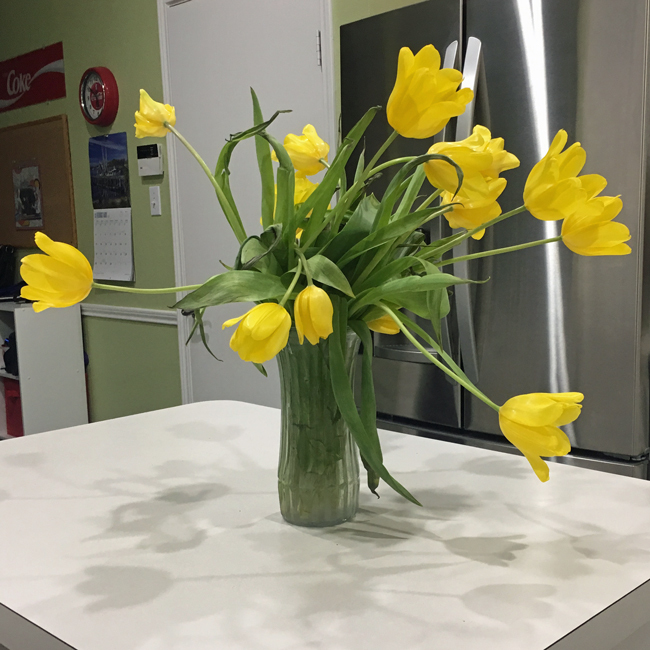 Robbie bought me some tulips one week . . . and they couldn't seem to figure out which way to turn! 5. 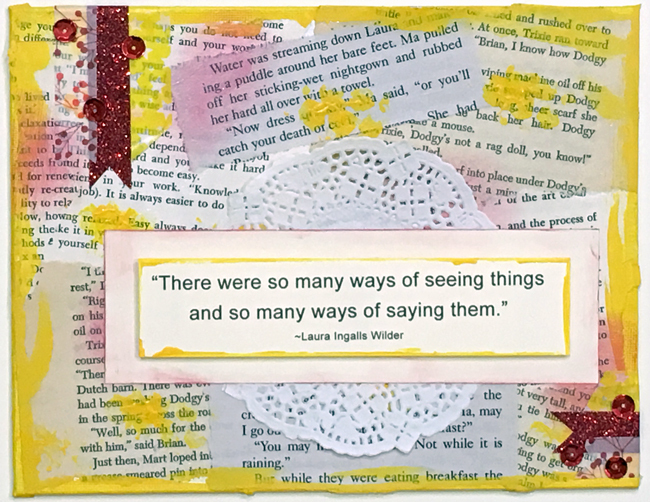 In May, I'm leading the library DIY class as we make mixed media book quote canvases. I created a sample using a favorite Laura Ingalls Wilder quote. 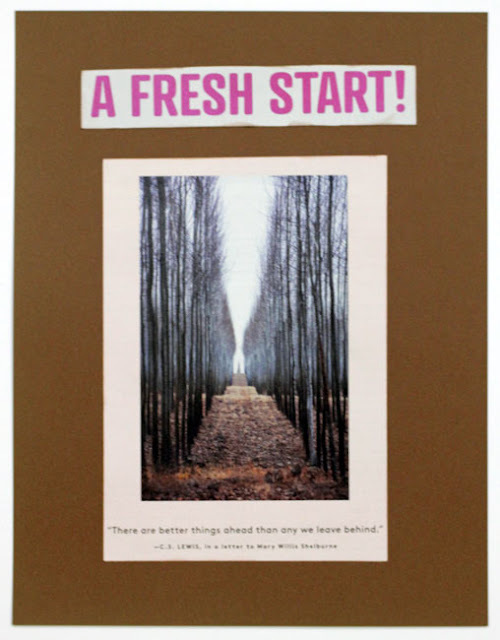 I want to have several quotes available for the class participants to choose for their canvases. Please share your favorite quote in the comments! Joining in this week with Mary-Lou's Take Three Thursday - an effort to notice more of the ordinary in our lives. The idea is to take photos that are linked some how; by theme, by color, by date, by moment, by points of view. I actually took these photos a couple of weeks ago intending to share them for Take Three Thursday, but some weeks seem to fly by faster than my plans can keep up. 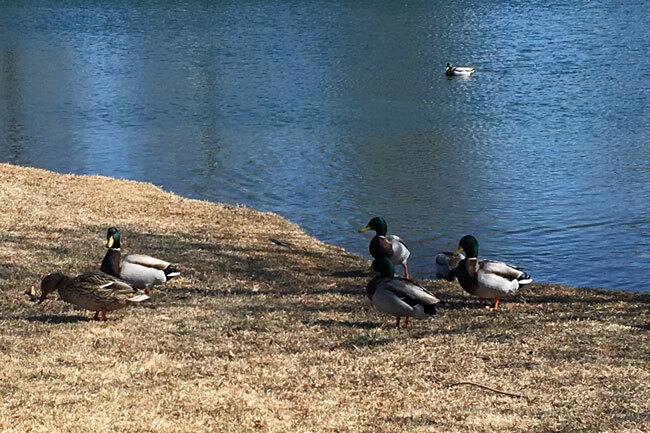 Robbie and I were out for a walk at the local park when I noticed the waterfowl enjoying the winter sunshine, too. What have you noticed this week? 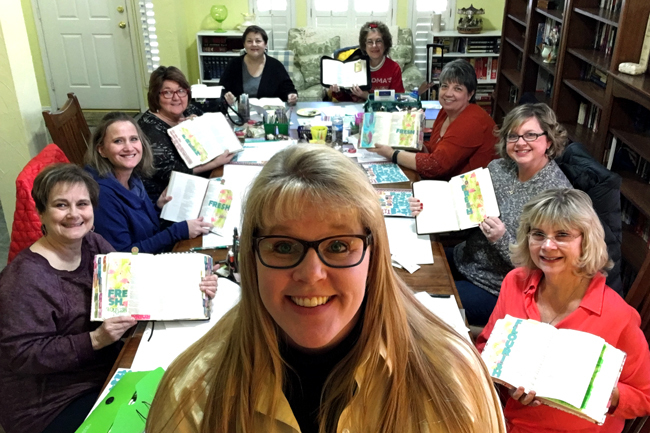 Sometimes when I set out to demonstrate a new product or technique in my illustrated Bible journaling classes, I end up with something a little different than I envisioned. For example, when I grabbed a shimmery brownish Gelato and a baby wipe to add a background on a Bible page recently, the color was much darker than I anticipated! Of course, since the first "rule" I share in every class is that perfection is highly overrated, I just continued on and covered the page! 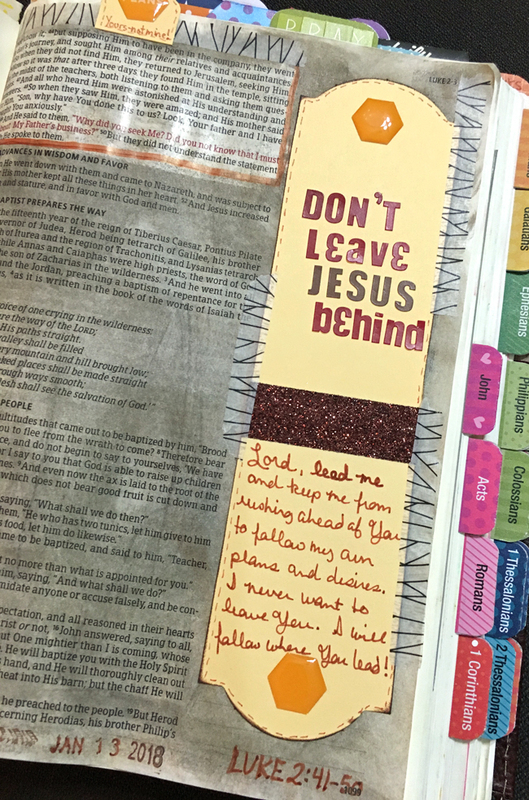 Later, when I sat down to review those scriptures and add some journaling, I decided to adhere a couple of tags together in the margin as a lighter space for my title and prayer. I added a tab, some washi tape and a few Illustrated Faith Hexies for a little pop of color on these pages and am so happy to have noted the lesson from the scriptures in the margin . . . even if the rest of the page is a little darker than I had planned! Sometime last year my Pun'kin niece Natashia tagged me on Facebook sharing the Once Upon a Book Club because she thought I might like the concept. She was right, of course! With this book club, you not only get a book each month, you get several gifts that go along with it. 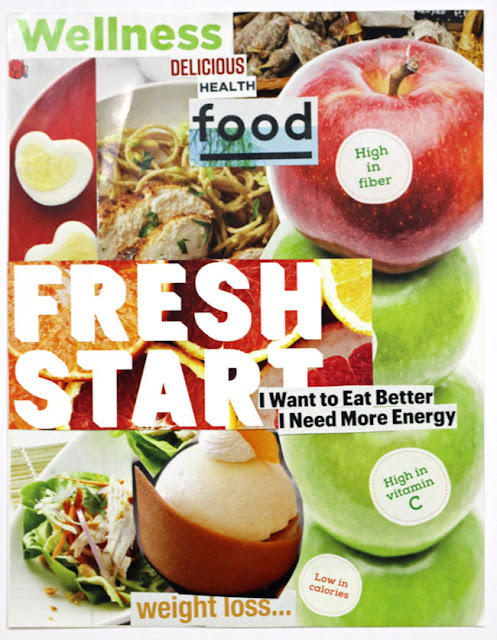 I love this FRESH idea. 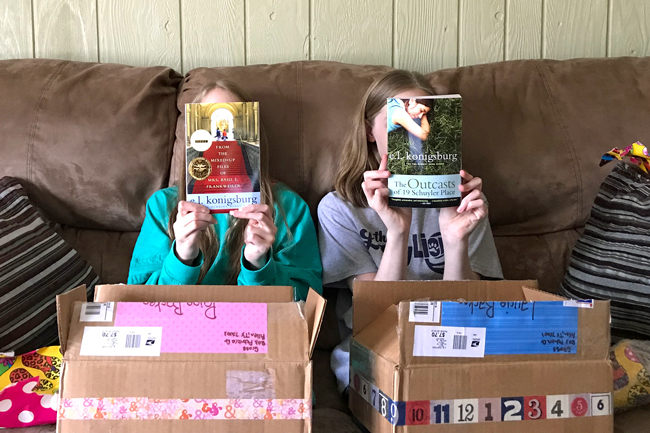 I decided to adapt this idea and create Adventure Book Boxes for my twin nieces Paige and Laurie for their thirteenth birthday earlier this month. Robbie and I brainstormed book ideas and ended up with several possibilities for each of the girls. I decided to go with two book by e.l. konigsburg because I knew each of the girls would like the main character in the book we chose for her. One of the best parts of putting these gifts together was that I had to re-read the books. Of course, this time I was also looking for opportunities and ideas for including gifts. 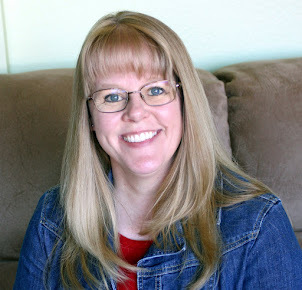 For Paige, I chose From the Mixed-Up Files of Mrs. 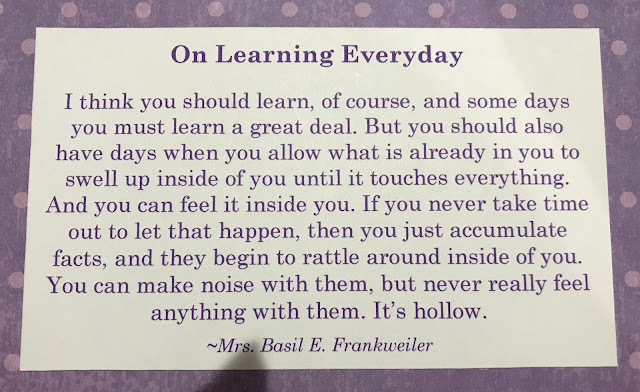 Basil E. Frankweiler, which won the Newbery Medal in 1968. This story is all about how Claudia Kincaid, along with her brother Jamie, runs away from home to the Metropolitan Museum of Art! I thought Paige would appreciate the fact that Claudia wanted to run away from home, but she didn't want to be uncomfortable or have to sleep out doors or anything drastic like that. (I don't think Paige wants to run away, but I'm pretty sure she's not one for sleeping outdoors or being uncomfortable.) This is a wonderful book that follows Claudia and Jamie's adventures as they strive to stay undetected and to help solve a mystery about one of the museum's latest acquisitions . . . which leads to Mrs. Basil E. Frankweiler and her mixed-up files. 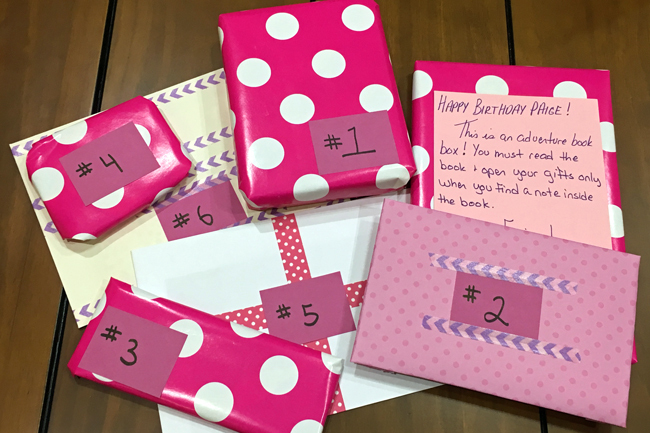 Along with the book, I sent six items for Paige to enjoy when she came to the page where I'd placed a post-it note with the number of the gift to open. 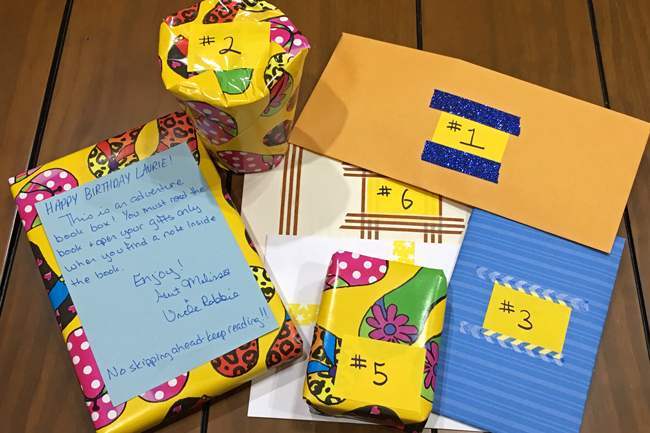 Each gift corresponded to something happening in the story. For example, I added a post-it note under the paragraph where Jamie finds an unopened Hershey's bar in the museum, and Paige opened a package containing a Hershey bar! One of the gifts for each book was a quote card. I chose a FUN quote that somehow related to each of the girl's one little word this year and created a 4x6 card with the quote. Paige's quote comes from Mrs. Basil E. Frankweiler herself. Other gifts in Paige's box were $24.43 (in coins & crumpled up bills), a hand mirror, and photos I took of Grand Central Station when I visited New York a couple of years ago. For Laurie, I chose The Outcasts of 19 Schuyler Place, which was published in 2004. The main character in this story, Margaret Rose Kane, is rescued from summer camp and spends the summer with her two beloved uncles at their home at 19 Schuyler Place. I thought Laurie would totally relate to Margaret Rose's insistence on being herself and how she takes charge of trying to save the towers the uncles have built in their backyard when she discovers the city wants to tear them down! Laurie's Adventure Box also held six gifts. My favorite was the pendant I created out of wire and coke bottle caps to represent the pendants hanging from the uncle's towers (although I forgot to snap a photo of it). The quote I sent Laurie came from the son of one of the uncle's old neighbors and describes one of the reasons he thinks the towers should not be torn down. Other gifts in Laurie's box were $25.90 (for her next adventure), chocolate chip cookies, and photos of the Rose Window at Notre Dame that I took when Robbie and I visited Paris last fall. 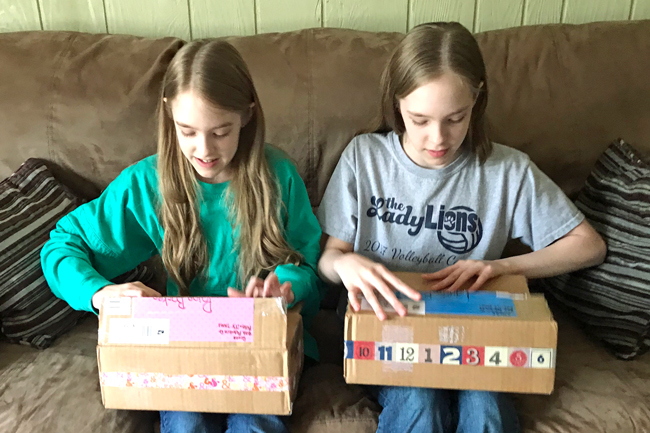 We set up a Skype video call so I could watch the girls open their birthday boxes, and my sister snapped photos as well. They read the directions I had taped to the front of the books! 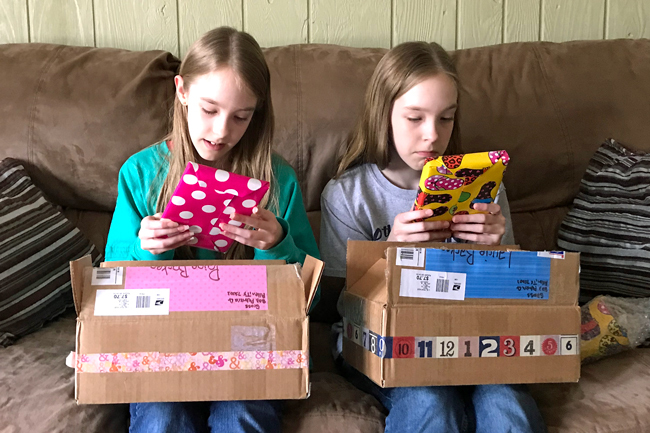 Once the books were unwrapped, they both immediately began reading the back covers to see what they were about. This is my favorite photo of the unwrapping! Have you ever received or sent a book with corresponding gifts? Despite the fact that I pulled out some FRESH papers in mid-January to use for my One Little World album this year, I didn't actually get my album set up until this past weekend. 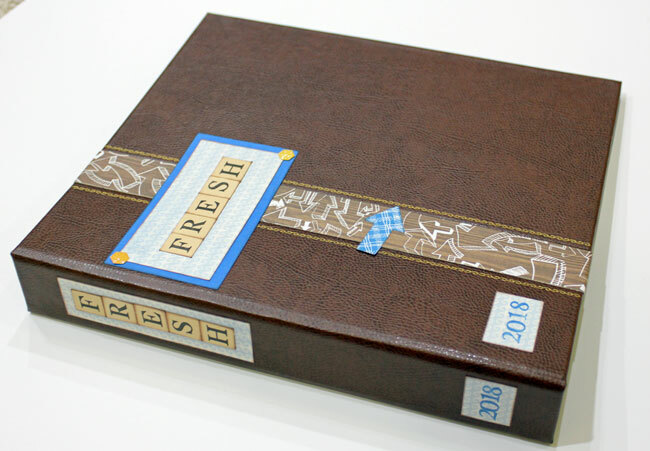 However, I now have a FRESH album that includes my January prompt pages and February vision board pages. In my continuing quest to use what we have on hand, I pulled a very nice three-ring binder from our office supplies stash. 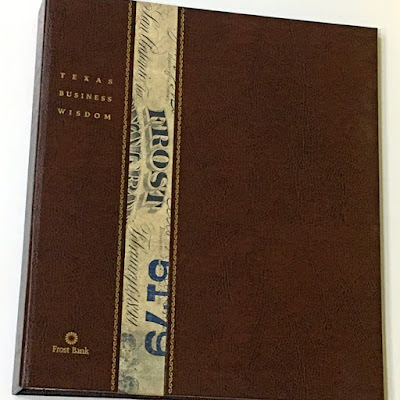 The cover has a leather look, but, unfortunately, it also had the name of the bank that originally gave out the binder. And I really didn't like the paper strip that ran down the front and covered the inside of the binder. So, I pulled out some cardstock and patterned papers and set to work, and now I have a FRESH binder to house my FRESH notes and the prompts from Ali Edward's One Little Word Workshop this year. The January class materials are the same as in past years with 3x4 prompt cards and pages to record our plans and intentions for the year ahead. 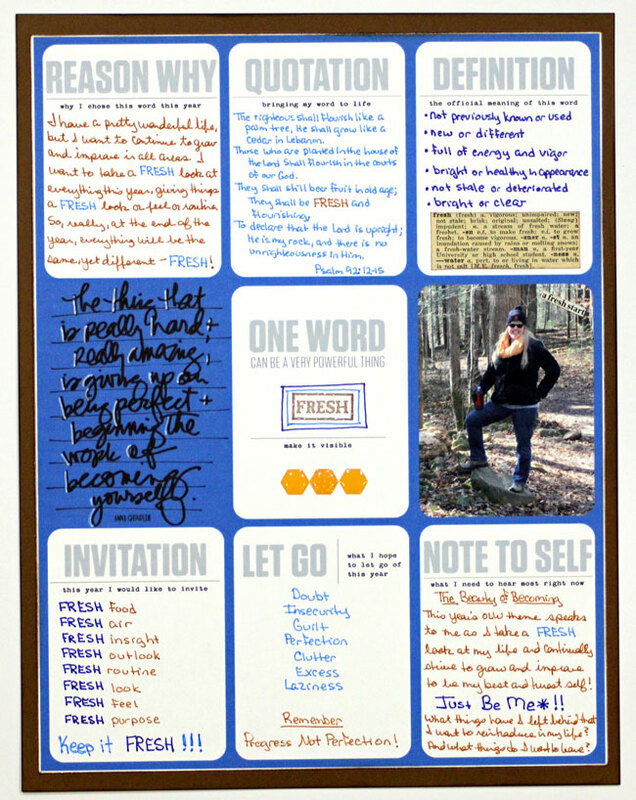 I used the digital cards to create an 8 1/2 x 11 printable page that also included a photo of me from December (hiking in the FRESH air) and one of the quotes included with the digital supplies in the classroom. 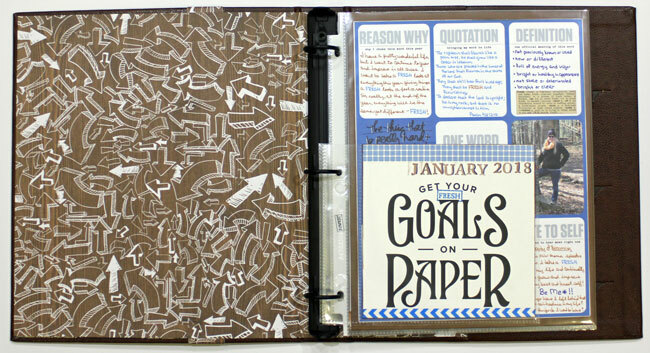 I added handwritten journaling, then trimmed the page and adhered it to brown cardstock. Instead of two pages for the Year Ahead and Intentions, I combined those sheets into one page. I added a couple of additional titles I'd cut from magazines and once again wrote out my journaling. Rather than add tabs or dividers for each month, I've decided to include a 6x6 page protector to begin each month's section in my notebook. I'll be adding the quote from my Get To Work Book to it at the end of each month. 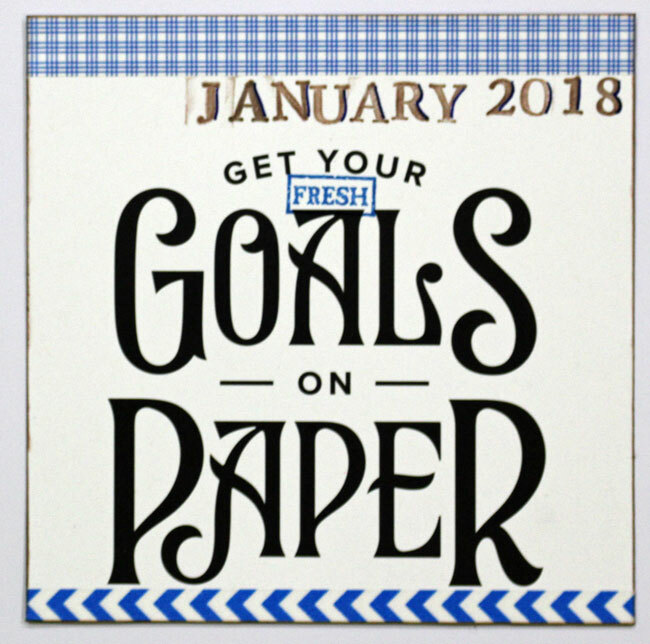 At the beginning of the month, I'm taking the quote card out, writing in my goals for the month, and hanging it by my nightstand where I can see it each day. It's actually larger than 6x6, so I cut it down and put the quote on the front side of the page protector. And added the bottom portion of the page to the back of the page protector. This left plenty of room to include Story Of The Month journaling. Here's how it looks in the album (with the new patterned paper covering the inside of the album). The other page I included for January was 6x8. 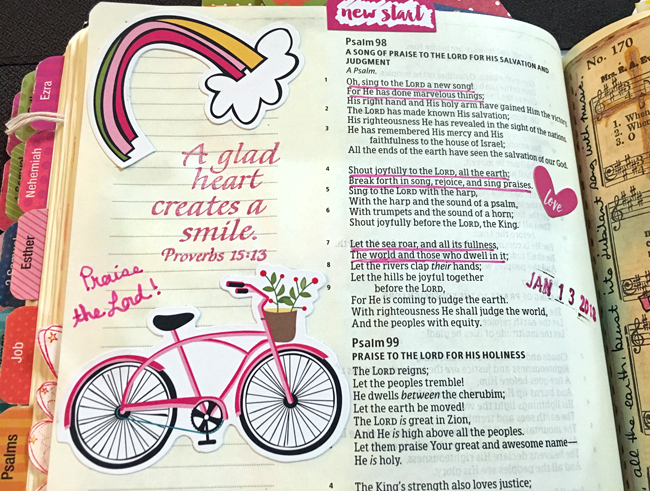 I adhered photos of the two FRESH Bible journaling pages I created during my January classes to the front and back of that page. 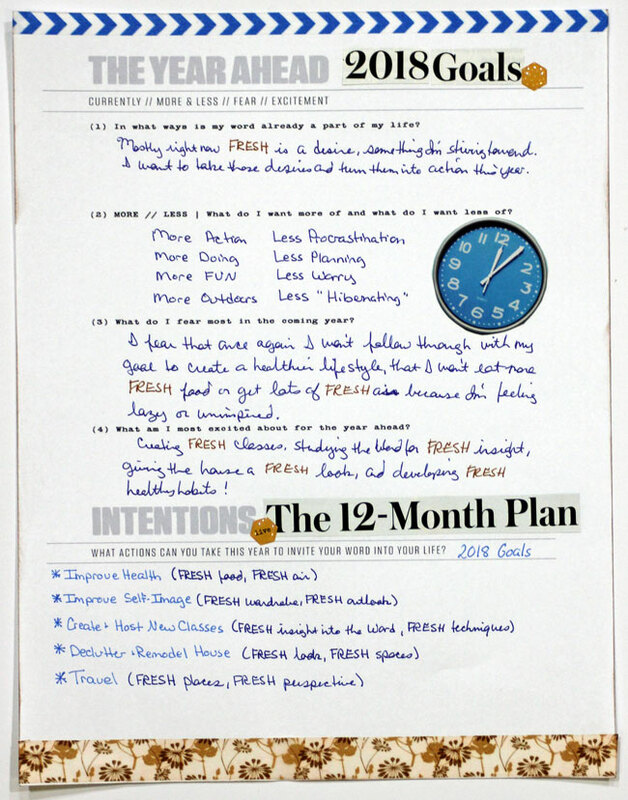 For February, Ali encouraged us to create a vision board. 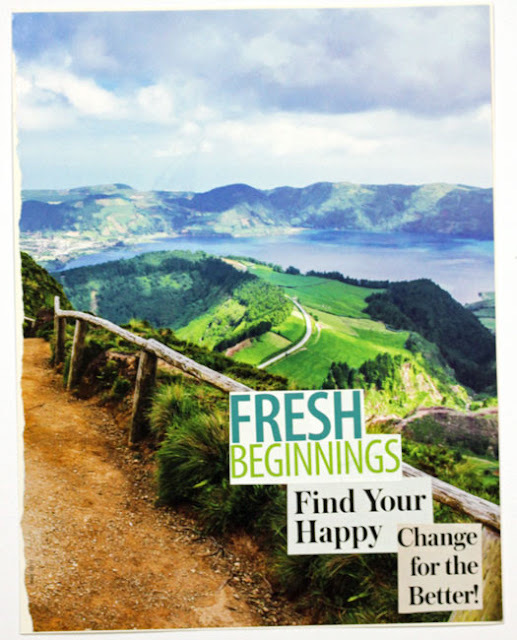 Last year I created a couple of 12x12 vision boards that are still hanging in my craft room (and definitely work for FRESH air and FRESH travel plans! ), so I decided to create something to go in my album. I've been clipping things from magazines since the beginning of the year, and as I sorted through them I ended up with four ideas for pages. Putting these vision board pages together helped renew my INSPIRATION for making FRESH changes to ensure a FUN year! Have you started your OLW album yet? Do you really paint in your Bible? Isn’t it sacrilegious to write in the Bible? Why would anyone want to draw and color on the Word of God? These questions are often posed when someone first sees an illustrated journaling Bible filled with colorful drawings, letter stickers, and painted backgrounds. 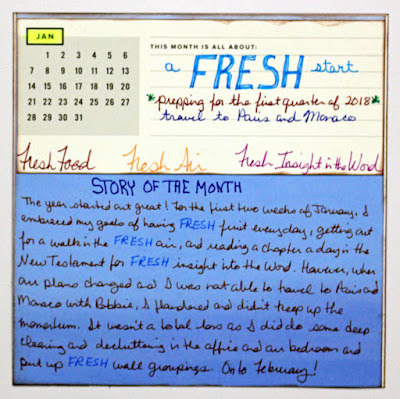 However, when I begin to explain that this form of creative journaling is actually a way to dive into the Word and draw closer to the Lord, their initial confusion turns to interest. This hobby is really not about who can paint the best Lion of Judah or how many different products were used on a page; this hobby is about finding renewed excitement for reading and studying God’s Word and applying it to our everyday lives. It’s about using illustrations and words to help us understand and remember what the scriptures are saying to us individually. Taking time to illustrate in the Bible helps us understand and internalize what the Word is saying to us. It allows us to spend time with the Lord as we meditate on the scriptures and add in prayers and journaling. We remember more of what we’ve learned and use our creative gifts to honor and worship the Lord. It doesn’t matter that my pages aren’t masterpieces; it matters that I spent time with the Savior and asked Him to direct me. Many creative endeavors lend themselves to this form of worship. Museums are filled with paintings depicting scenes from the Bible. Many songs have been written to honor and glorify the Lord, share stories of God’s faithfulness, and to send thanksgiving and praise to our heavenly Father. Books have been written, poems have been penned, photographs have been snapped, gardens have been planted, and plays have been performed as authors, poets, photographers, horticulturists, and actors strive to understand and interpret how to apply the Word to their everyday lives. This week, ask yourself – How can you use your creativity to draw closer to the Lord? 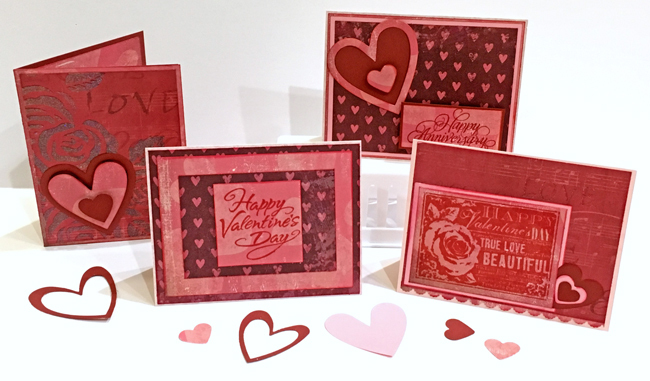 Cardstock, patterned paper, a little stamping and some layered hearts were the ingredients for whipping up these lovely cards. 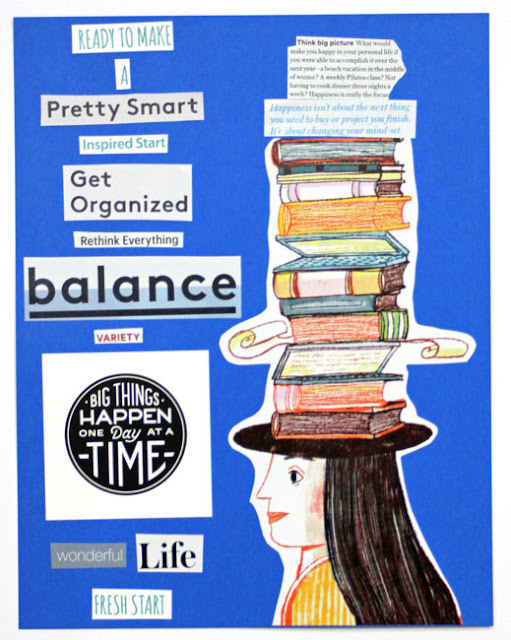 Creativity for Well-Being 2 - Yes, You Are Creative! 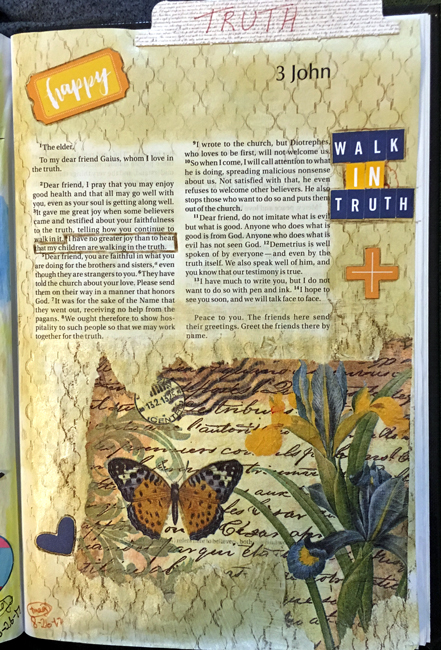 In my illustrated Bible journaling classes, women often say things like: “I’m just not creative. I can’t draw. I hate my handwriting. I want to illustrate in my Bible, but I don’t have any artistic talent.” After scrolling Pinterest boards and Instagram feeds filled with colorful, creative, artistic, beautifully proportioned illustrated Bible pages, it’s easy to understand why these ladies have come to this conclusion. They feel that their pages just don’t measure up to the ones posted online. Their comments make me sad because it’s simply not true. Genesis 1:27 says we are all created in the image of God, THE CREATOR! 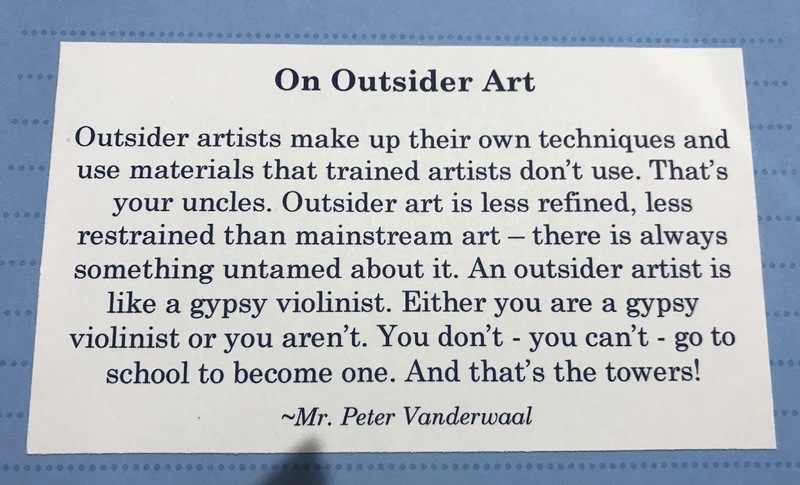 Therefore, we are all creative! Our creativity may manifest itself in many different ways, but it doesn’t diminish the fact that we are all creative beings. Now, I must admit that for many years, I also believed that I was not creative. My Grandma was an excellent seamstress and could turn anything into a craft project. My Mama is also very talented with a sewing machine – she made many of our clothes when I was growing up, even a prom dress for one of my sisters. Every bed in our home is covered with a quilt made with Mama’s love and quilted by her hands. While I was studying and reading books, my sisters were learning to quilt and taking art and drafting classes. 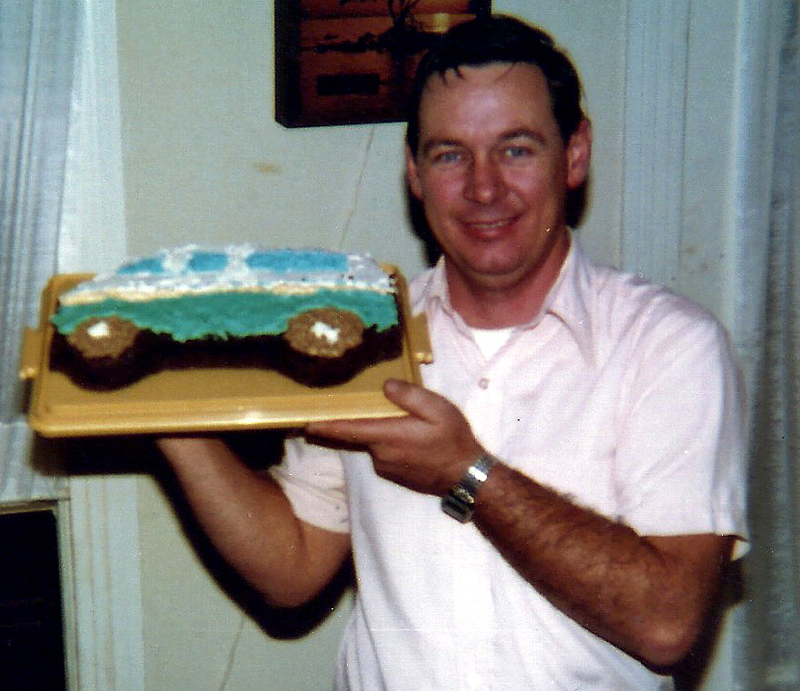 However, if you thumb through my old picture albums, you’d see the homecoming corsage I made for my sister, the (slightly crooked) vase I created in ceramics class, the birthday cake decorated to look like the van Daddy drove as a repairman for AT&T, that favorite pink & yellow outfit I loved to wear with those fun yellow high tops, and a bedroom wall decorated with the memorabilia of a teenager displaying an eye for balance and design. Theodore Roosevelt is credited with saying “comparison is the thief of joy.” For many (many!) years I did not feel creative because my creativity manifested itself differently than other members of my family! Yet, the reality is that our creativity comes in many forms and expressing that creativity is a way of honoring God and has a positive effect on our lives and our health. When we diminish or criticize our own creativity, we are not only dishonoring the Lord, we are decreasing our own level of happiness and health. Embracing and recognizing our creativity is just the first step. We must cultivate our creative gifts, whether that means developing a daily journaling practice to improve our writing, taking a yearly course to learn new interior design skills, participating in a community theater production, or simply taking time to enjoy a craft session with friends. Sometimes our creativity comes through in the workplace as we organize projects and meetings that encourage participation and produce results, create lesson plans that engage all learning styles, or display products in a way that entices customers to buy! Each month this year, I'm teaching classes on how to illustrate and interact with the Word in order to draw closer to the Lord. And I'm sure that several times I'll meet someone new who “isn’t creative” and have the opportunity to remind that individual that we are all created in the image of The Creator, we are all creative, and indulging our creative passions increases our sense of well-being and draws us closer to The Creator Himself! Of course, I have to smile and remind myself that I once thought I wasn’t creative either – a fact that makes me laugh when I scroll through my current list of upcoming classes & events! This week ask yourself – Have you downplayed your creativity because it doesn’t look like someone else’s creative output? Do you shy away from sharing your creative gifts rather than embracing the fact that your creativity is a God-given gift? How can you use your creativity to draw closer to the Lord? 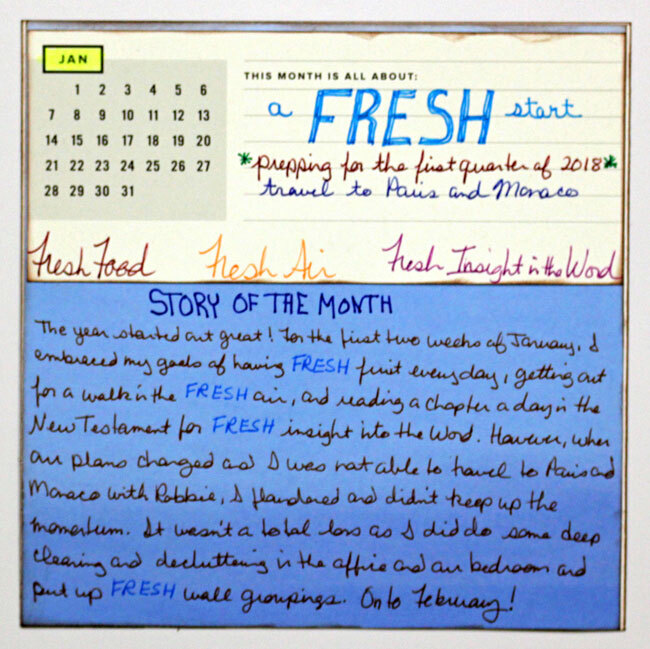 The focus of my January Bible journaling class was a FRESH start, so I researched scriptures using the word FRESH and we discussed the definitions of FRESH, new beginnings, setting goals, and walking boldly in God's calling on our lives. 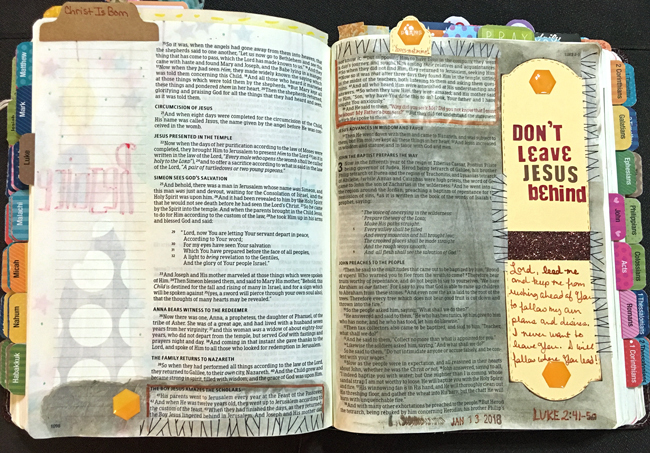 I shared several Bible journaling techniques, including once again the napkin technique. I found another FRESH scripture in James chapter 3, which reminds us that "no spring yields both salt water and FRESH." 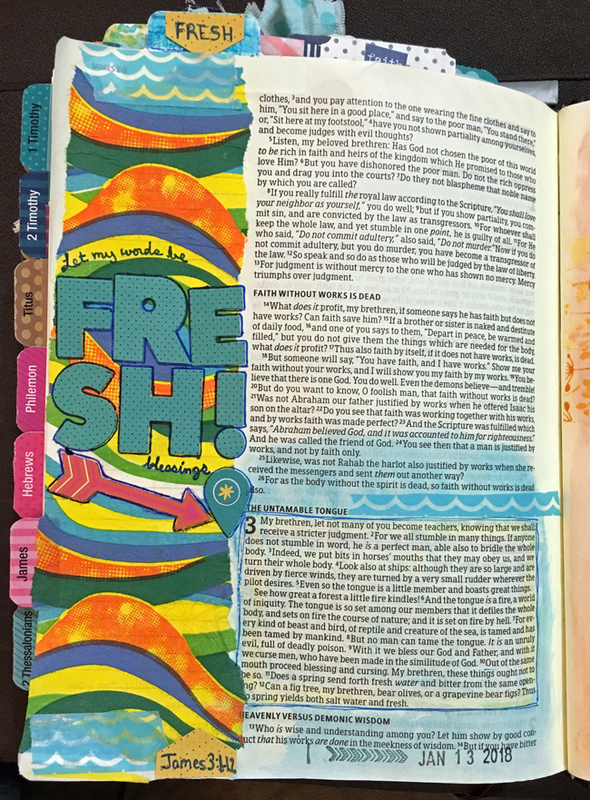 The napkin I used as a background for this scripture has lots of colorful waves! 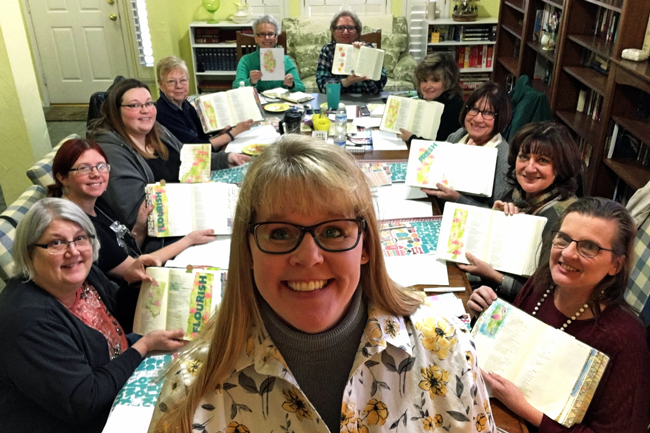 The ladies who joined me for these classes enjoyed this FRESH look at scripture and adding napkins in the margins of their Bibles. This was a perfect FRESH start to the monthly classes I'm planning this year! Several of the ten books I read in January had similar themes! I didn't actually plan it that way, it was just one of those FUN surprises that comes with reading lots of great books. The first book I completed this year was filled with advice for achieving your childhood dreams. 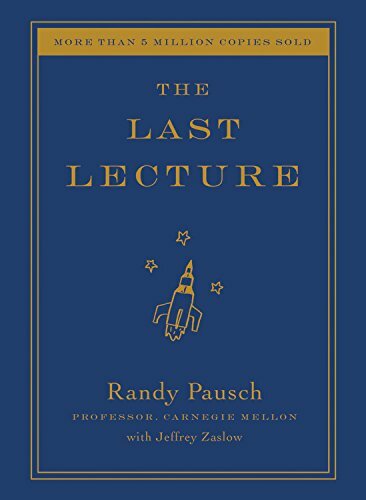 Randy Pausch, a Carnegie Mellon computer science professor, had been diagnosed with terminal cancer when he was asked to give a lecture. He knew it would be his last as he only had a few months left to live. He talked about achieving (or maybe not achieving but still benefiting from) your childhood dreams. His book, The Last Lecture, resulted from that talk, which can be seen HERE. I honestly enjoyed his thoughts and advice; however, I found it hard to like or relate to the author. He was using this platform to leave a legacy for his kids (which is understandable and admirable), yet he was arrogant in many ways and some of his jokes seemed quite irreverent. Despite this, I would highly recommend this book for the lessons we can learn about going after our childhood dreams. 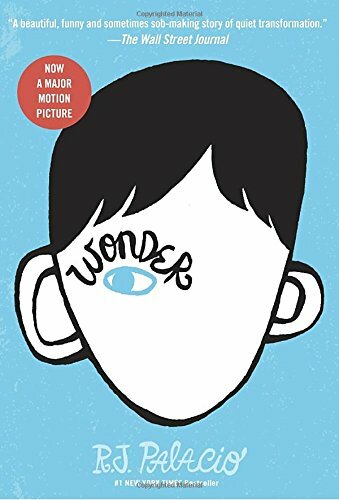 Speaking of childhood dreams, Auggie Pullman, the 10-year-old main character in Wonder by R. J. Palacio, wishes for nothing more than to be treated as an ordinary kid. However, Auggie's "facial differences" keep this dream from coming true (at first) when he enters school for the first time in 5th grade. I originally read this book in 2014 (see my review HERE) and enjoyed it just as much this time around. The recent movie adaptation of this book is excellent! There were a few minor changes, however, the movie preserves the wonderful characters and all the main events from the book. It is very well cast and the young actor that plays Auggie does a wonderful job of portraying Auggie's intelligence and his sense of humor about his own deformities. This is one of the best feel-good movies we've seen in a long time. I highly recommend the book and the movie! 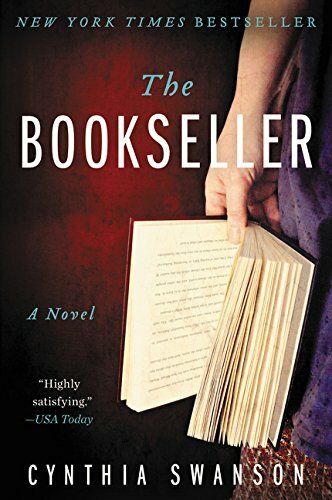 I actually checked out The Bookseller by Cynthia Swanson mistakenly as I was looking for a book with the same title that was recommended by someone from Robbie's office. I was well into the book before I realized my mistake; luckily, this was an easy, good read with a satisfying conclusion. The main character, Katharyn Andersson (aka Kitty Miller), keeps having a dream where she's in a different world. As Kitty, she's single and owns a failing bookstore with her best friend Frieda. As Katharyn, she's married and has a wonderful husband and triplets, one of who is autistic. When she goes to sleep in her (Kitty's) bedroom, a sunny yellow bedroom in a small apartment, she wakes up (dreams) in the other bedroom, a sage green room in a suburban home. A really interesting read! 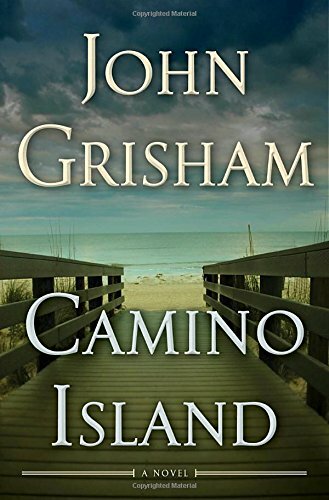 Speaking of bookstore owners, John Grisham's Camino Island questions whether Bruce Cable, the local bookstore owner on Camino Island, has illegally acquired five original F. Scott Fitzgerald manuscripts that were stolen from the Princeton University library. This is a well-written book (it's John Grisham after all) with some twists and an unexpected ending. One of Mercer's favorite memories in Camino Island is spending time with her grandmother on the beach watching sea turtles nest and hatch. In fact, her grandmother worked with Turtle Watch, a conservation and environmental group that helped mark and protect the nests of sea turtles. Speaking of sea turtles nesting on the beach in Florida, Dr. Ben Payne's wife was also an advocate for the sea turtles. 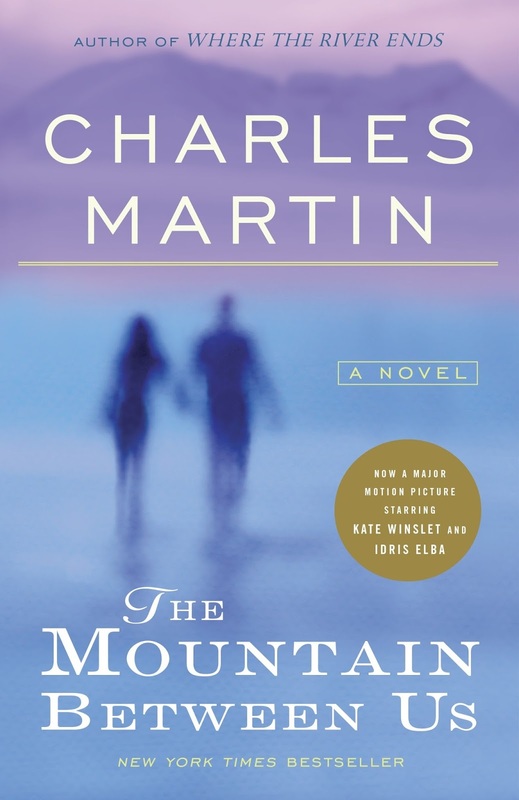 The backstory of Dr. Payne's wife is told through his talking into a voice recorder as we follow his story in The Mountain Between Us by Charles Martin. This book is much (much!) better than the movie (which I reviewed HERE). Ben is the one who actually charters the small plane that crashes in the mountains. He invited Ashley Knox to go along because she was trying to get home in time for her wedding. The storyline is more believable as Ben is the one who gets them off the mountain and Ashley is much more dependent on him than is portrayed in the movie (where she starts hobbling away from the plane crash on her own). 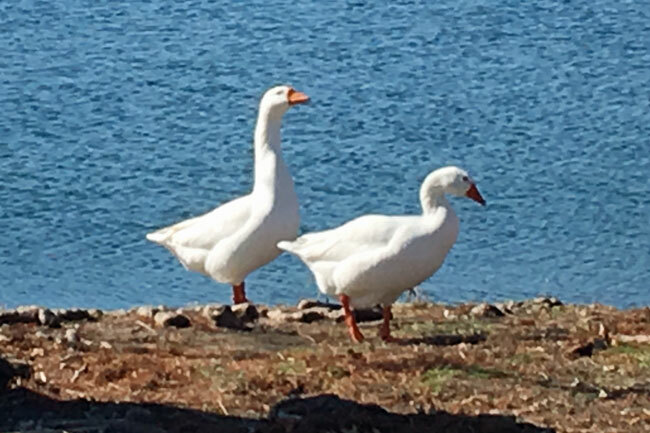 She has a great sense of humor and does encourage him to go on without her, however, she is totally dependent on him (not walking away on her own like in the movie). And they don't have intimate relations in the cabin - he is much more respectful, which probably isn't considered good movie material. This book is very well-written and has a satisfying conclusion. I recommend skipping the movie and reading the book instead! 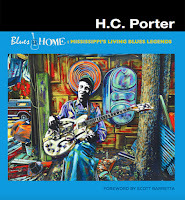 We picked up a copy of H. C. Porter's Blues at Home last spring when we visited Vicksburg, Mississippi. 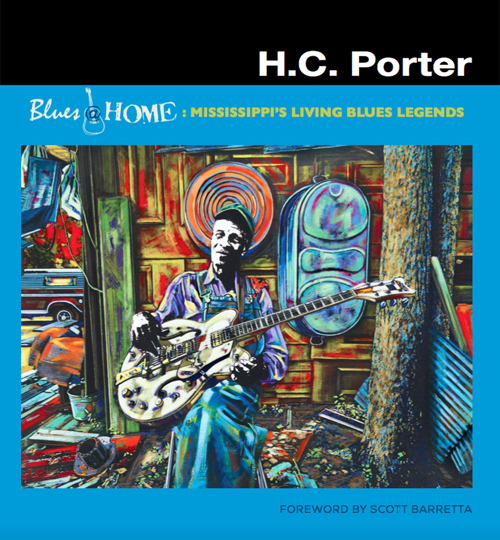 This beautiful book showcases the photos, stories and H.C.'s artwork of 31 Blues legends who are from or have a connection to the state of Mississippi. This book is a companion to the traveling art exhibit of the same name. We saw many of the pieces of artwork when my cousin Daryl, a friend of H.C., took us to her gallery on Washington Street in Vicksburg. H.C. Porter begins each piece of art with the black and white photos she snapped while visiting each of these Blues legends. The photo is then silkscreened onto paper, and she uses acrylic paints and prisma color pencils in a unique style that brings these photos to life. As she photographed each of the legends in this collection, her collaborator interviewed them. Their stories are shared in the book. I enjoyed reading about these legends from my birth state, but even more so I enjoyed the fantastic photography and completed artworks showcased in this coffee table size book. 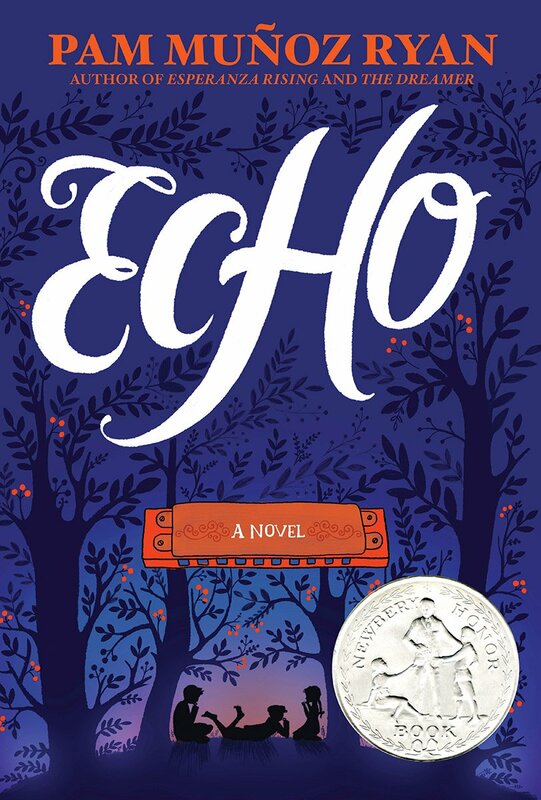 Speaking of the Blues, one of the characters in Pam Munoz Ryan's Echo learns to play Blues music on a harmonica. This book is actually four stories in one and was recommended to me by my niece Laurie. The book begins and ends with the legend of three sisters who are imprisoned in an old forbidden forest. When a young boy named Otto is lost in the woods, they encapsulate their beautiful voices and spirits into the harmonica he carries in his pocket. That harmonica eventually finds its way to Friederich, a young teenage boy in Germany in 1933. Friederich has a huge birthmark on his face. His father removed him from school after the other boys brutally bullied him, and he continued his studies in the harmonica factory where his father and uncle worked. As Hitler was rising to power and spreading his pure race policy throughout Germany, Friederich finds himself in the midst of a family in turmoil - his sister has joined the Hitler Youth, his father has been taken to Dachau, and his birthmark makes his a candidate for Hitler's sterilization program. His story ends (for now) as he embarks on a risky venture to save his father. Then we met Mike, an orphan in Pennsylvania in 1935. He and his younger brother will soon be separated if they are not adopted. When they are taken to the home of a rich heiress for adoption, he believes their troubles are over. Mike picks up a harmonica in a store in Philadelphia, and the groundskeeper at his new home teaches him to play, adding in some Blues along the way. However, the adoption proceedings may be stopped, so Mike embarks on a plan to be sure that his younger brother is adopted, even if it means they are separated for a time. The fourth story is set in California in 1942 and centers on Ivy, a young girl whose father has been hired to care for the home of a Japanese family that has been sent to a prison camp. When Ivy and her family arrive at their new home, a small house on the land owned by her father's new boss, she discovers that she must attend a segregated school for Mexican children. Her brother is off at war and Ivy finds comfort in playing the harmonica she received as a gift from her teacher before her family moved. Friederich, Mike, and Ivy's stories are all brought together in a beautiful conclusion set in New York City in 1951! This is a beautifully written book with great story lines and lots of historical elements that I thoroughly enjoyed and highly recommend. It was a FUN reading month around here and so interesting to discover these similar themes in my rather random choice of books! 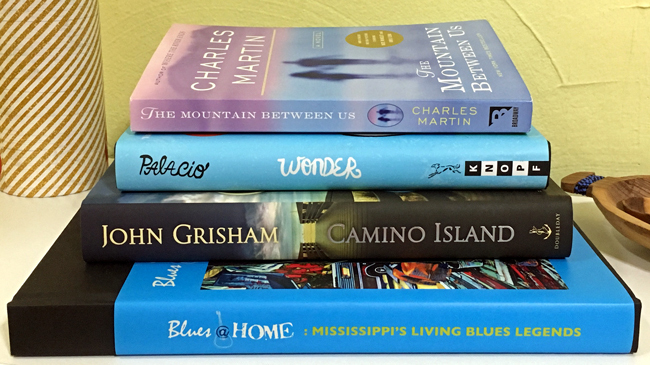 What great books did you read to start the year?